How did galaxies and supermassive black holes evolve? 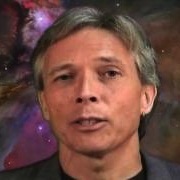 Chris Impey is a professor and deputy head of the department of astronomy at the University of Arizona. His astronomy research focuses on observational cosmology—using telescopes and other instruments to study the large-scale structure and evolution of the universe. He also does research on education and science literacy. Chris and his colleagues at the University of Arizona are trying to bring a style of active learning to undergraduate education in astronomy and other physical sciences.